From Duncan McGeary: I’ve lived in Bend, OR, my whole life (which is becoming increasingly rare in this boom town.) After graduating from the U of O in the ’80s, I wrote the fantasy novels Star Axe, Snowcastles and Icetowers. While trying to write full time, I started filling in at a local book/comic book store called Pegasus Books and eventually became manager—then 30 years ago, I bought the store from Mike Richardson, who is now the publisher of Dark Horse Comics. In the last few years, Pegasus Books has become stable and I’ve returned to writing like crazy. I sold a four book deal to Books of the Dead Press, followed by another trilogy, “The Vampire Evolution,” which consists of Death of An Immortal, Rule of Vampire, and Blood of Gold. 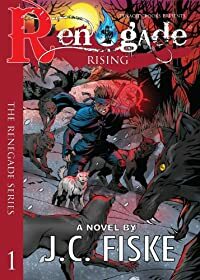 I’ve been very busy with several other books in the works, and I’m proud to have sold my Wild Pig Apocalypse, Tuskers, to Ragnarok via their Angelic Knight Press Imprint. 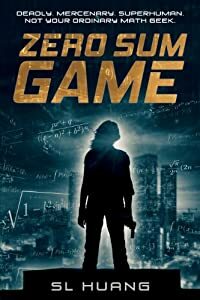 I hope you guys will check out all my books, as I try to make them entertaining, fast reads. What if, in a strange way, George Orwell’s Animal Farm was real? What if pigs became so intelligent that they became a threat to humans? One of the surprising things about the reaction to my book Tuskers, about hyper-intelligent wild pigs on the rampage, was that some people found it difficult to believe in pigs as a real danger. So why are zombies, werewolves and vampires more believable than killer pigs? Why are apes and dogs more threatening than swine? Wild pigs are fast and dangerous and hard to kill. It’s a fact that there is a wild pig population explosion. Dangerous hybrids aren’t something I made up. And if you look at the way we treat pigs in factory farms, pigs who seeks vengeance seems only just. So the only thing I’ve really done that is a stretch is turn them into Swinesteins, who can organize and plan their revenge. I’ve chosen the horror genre to write in because it’s wide open to ideas. It isn’t trapped by genre conventions that either you follow or ostentatiously break. Horror allows you to use archetypes that represent all our fears and hopes. In my Tuskers series, wild pigs represent nature and how we are abusing it. Should it surprise us if nature strikes back? It can take the form of children finding dead bats in a tree, starting an Ebola epidemic. Or of a California drought and Pacific islands submerged by the sea. Or it can take the form of invasive plants and species. The Four Horsemen of the Apocalypse are already riding our way. Imagine in response to environmental stresses, an evolutionary leap in an animal who is already smart and hard to kill. I suppose that just the idea of pigs has an intrinsic un-believability. But it seems to me as a writer that you can take the most realistic idea/setting and make it ridiculous. Or you can take the most ridiculous idea and make it real. You can turn a nuclear holocaust into Dr. Strangelove, or you can turn Porky Pig into Hogzilla. When I wrote Led to the Slaughter: The Donner Party Werewolves I attempted to be as true and authentic to the actual events as possible, using as much of the real events and chronology as possible. I used the real people as protagonists. I wanted to make the reader feel hungry and cold and scared. Werewolves were written as a part of nature, something that existed as another form of life, not something supernatural, but something that was recognizably threatening. In Tuskers, I have tried to make the wild pigs feel real. I admit I used humor as a way to make it more relatable, but I also tried hard to look at mankind’s weaknesses and the power of nature to make it become a real threat. Any subject can be turned into horror, just as any subject can be turned into comedy, or a combination of both. It just depends on how you write it. Given the nature of wild pigs, and extrapolating on current events, it seemed completely believable that they could become a danger. In fact, it seems inevitable. As someone who has seen how big pigs can actually grow, and having seen wild pigs in action, I’ve no doubt how terrifying these animals can be. Hyper-intelligent pigs? That’s just creepy. If your readers saw a 400lb Razorback, I’m sure the’d change their minds….